North Carolina’s fledgling virtual charter schools are recording staggeringly high withdrawal rates in their opening months. Now public education advocates are asking what happens to the public funding diverted from local school districts to bankroll the controversial pilot program? According to Alexis Schauss, director of the Division of School Business in the N.C. Department of Public Instruction (DPI), the money stays right where it is. 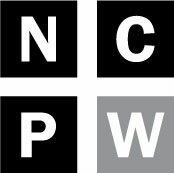 DPI officials presented sobering reports to the N.C. State Board of Education this month that detailed high withdrawal rates at North Carolina’s two virtual charters, both of which are run by for-profit companies dogged by allegations of lagging student performance in other states. At N.C. Connections Academy, owned by the British multinational corporation Pearson PLC, the school reported a total of 351 students dropping out of the online school program in the first three months, or almost 20 percent of total enrollment in the school during that time period. Virtual Academy, meanwhile, reported 331 withdrawals during that same time period, or about 19 percent of enrollment. Virtual Academy is under the umbrella of K-12, Inc., a Virginia-based company which has been singled out for poor student performance in states like California and Tennessee. It’s too early in the academic year for state officials to have gathered performance measures, but Schauss says the virtual schools, which are taking in a combined $14.5 million this year in public funding, will not be required to return the money lost during the rash of first-semester withdrawals, per state law. “You would assume they would take on more students,” she said. State law requires that the virtual charters’ funding be determined by attendance taken on their 20th academic day, and at some unspecified point in the second semester. Any withdrawals in the meantime will not affect virtual charter funding, she said. Because virtual charter students are pulled from districts across the state, Schauss said the funding formula is slightly different from traditional public schools, which rely on enrollment projections to help guide appropriations. 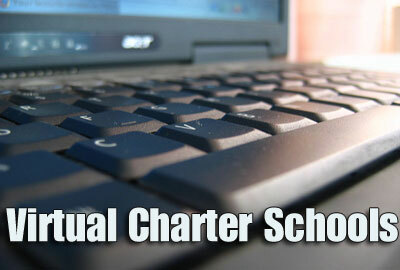 Virtual charters are funded based on a one-day count of membership . In the meantime, local school systems will lose out on vital public funding, which is at a premium these days. Last year, North Carolina was ranked 46th in the nation in total per-pupil spending. Keith Poston, executive director of the Public School Forum of N.C., a public school research and policy group, calls the funding method “insult to injury” for local school systems that have seen their state funding diverted to virtual charters. Poston pointed out that these school systems will have to take in the fleeing virtual charter students, with or without the lost cash. “It’s unacceptable and the state needs to keep a close eye on it,” he said. And Sen. Valerie Foushee, an Orange County Democrat and member of the Senate Education Committee, called it “troubling” news. “There is not enough accountability here to ensure that kids are getting what they need,” Foushee said. It’s a rocky start for the pilot program, which at last report, counted more than 2,800 students in its ranks. Supporters say the virtual charters could benefit students who have struggled in a traditional, brick-and-mortar school setting. But critics point to myriad studies of student performance in virtual charters in other states, many of which showed virtual students lagging far behind their traditional school peers. A Stanford University study last fall showed students at virtual charters nationwide trailing dangerously behind public school students in reading and math. The study, completed by Stanford’s Center for Research on Education Outcomes, found that, in a 180-day academic year, virtual charter students lagged behind their peers by an average of 72 days in reading, and 180 days in math. In other words, when it comes to math, it’s as if the students bypassed an entire year of learning, the study found. Despite this, Poston said the new online schools have attracted far too little public scrutiny in North Carolina, particularly given the substantial investment made in public dollars. “If any local school had 20 percent of its families withdraw their kids from the school in the first six months, I think the public would be demanding immediate action and intervention and assuming there’s something really wrong in that school,” he said. For-profit, virtual charter operators have been seeking to expand into North Carolina for years, but did not get the approval from state lawmakers until 2014, when the N.C. General Assembly ordered the State Board of Education to approve two virtual charters for the beginning of the 2015-2016 academic year. Virtual Academy and Connections Academy were the only two to apply. Both are able to enroll up to 1,500 students in the program. Administrators at both academies could not be reached for an interview by Policy Watch on their high withdrawal rates. But state officials and charter backers say high turnover is to be expected right now, particularly given many parents are expected to take on a demanding role as a “liaison” between their children and the virtual program, which serves students in kindergarten through high school. Still, Schauss said it may be too soon to make an exhaustive assessment of the program. Critics, however, are not swayed by that argument. “This is a concern of the quality of education received, and whether our taxpayer dollars are being spent wisely at a time when we’re being told we don’t have the money to give teacher raises and fund our school systems,” said Poston.